Overlooking the Askam Borehole AMD Treatment System from S.R. 29. Map of Askam site prior to construction of the oxidizer system. 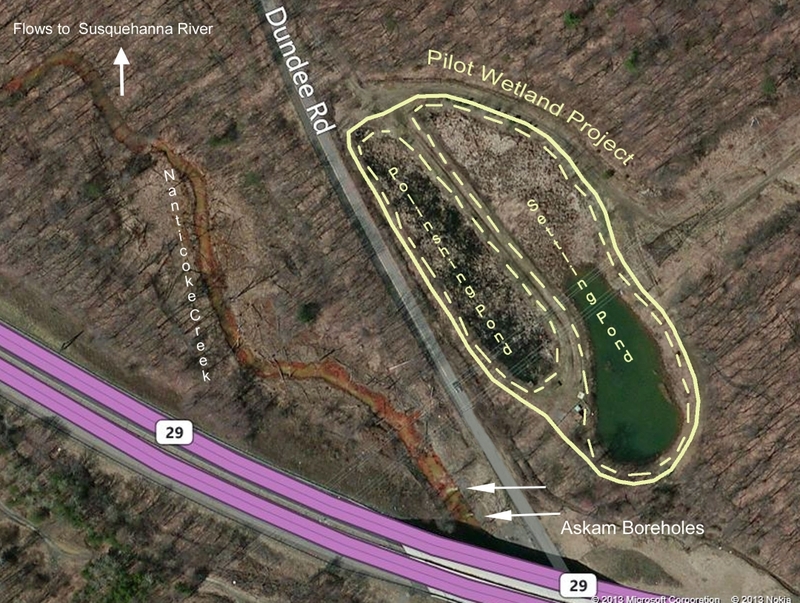 Locations of the two boreholes are noted, as well as the Phase II Dundee Road Constructed Wetlands project. The Askam Borehole AMD Treatment System was constructed north of the boreholes, on the Nanticoke Creek. 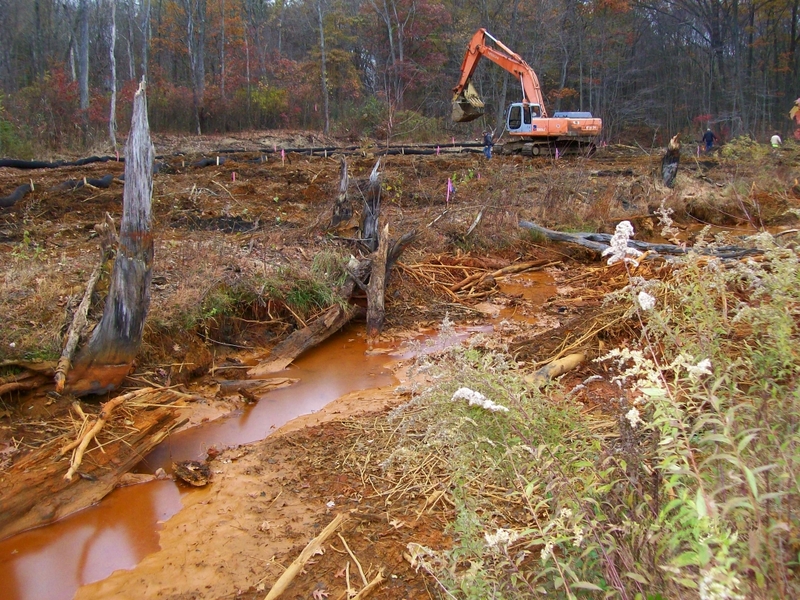 Much of the land within the eight square-mile Nanticoke Creek watershed was either deep or strip mined by the Blue Coal Corporation. When the company filed for bankruptcy, these mine workings were abandoned. Above ground, stripping pits and culm banks defaced the landscape. Below, underground shafts and tunnels would fill with water, or collapse. These conditions were more than a nuisance; their presence continually did damage to the local community and environment. As discussed in the AMD overview, boreholes are one method of handling underground minewaters. 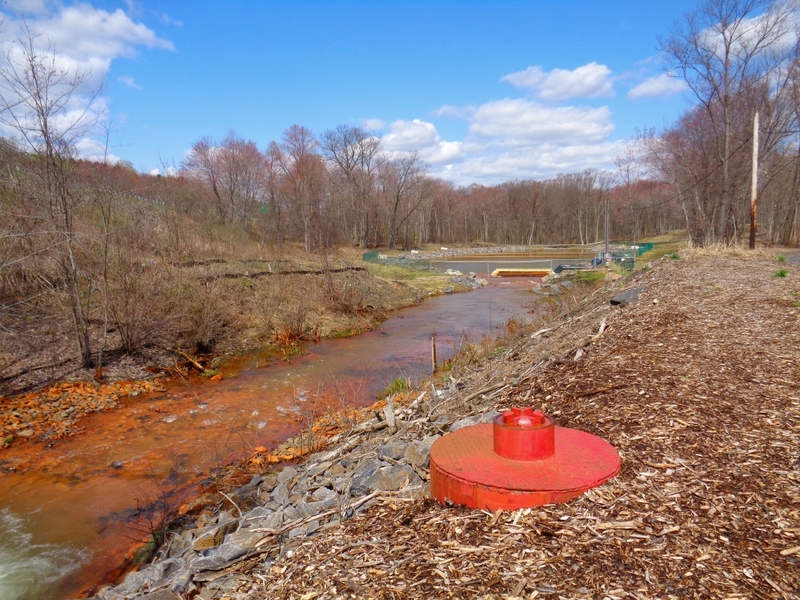 The Askam Borehole, named after a nearby village in Hanover Township, was drilled by the Pennsylvania Department of Environmental Resources to relieve water pressure from a mine pool that was forcing groundwater to backup into homes. 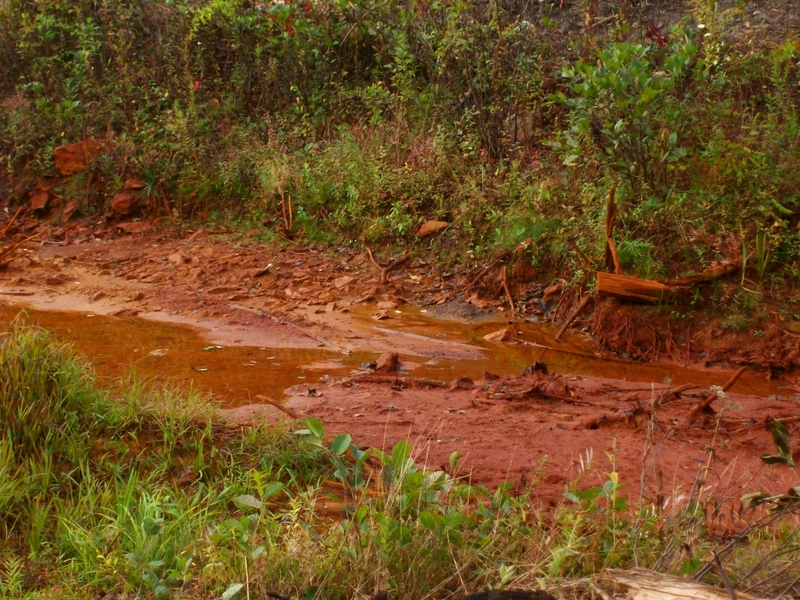 Although the flooding stopped, the minewaters, once they reached the surface, initiated the chemical reaction that creates AMD. From Askam, those waters were released directly into the Nanticoke Creek and its watershed. In 1999, Earth Conservancy built a wetlands system across the road from the Askam Borehole to help mitigate the AMD pollution, and for nearly a decade it successfully mitigated the discharge. However, in 2008 the borehole collapsed. Localized flooding returned. 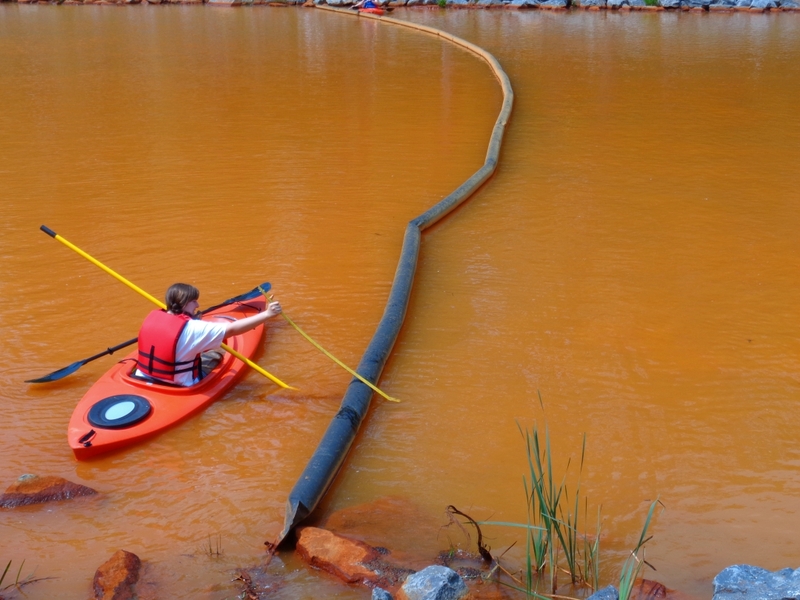 In response, the U.S. Department of the Interior’s Office of Surface Mining drilled two new boreholes, both of which again released their effluent into the Nanticoke Creek. For many years, EC had explored using an oxidizer. 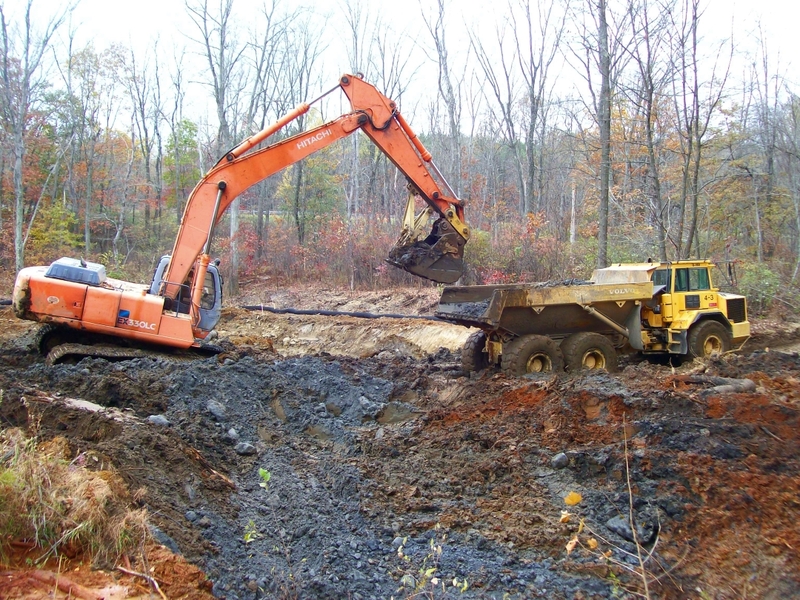 In fact, it first had been discussed in EC’s Section 206 – Ecosystem Restoration Report (2005), a plan for comprehensive restoration of the Nanticoke Creek watershed developed in partnership with the Pennsylvania DEP, DEP’s Bureau of Abandoned Mine Reclamation, and the United States Army Corps of Engineers. With the Dundee Road Wetlands offline, the continuing AMD problem at Askam seemed like a perfect opportunity. 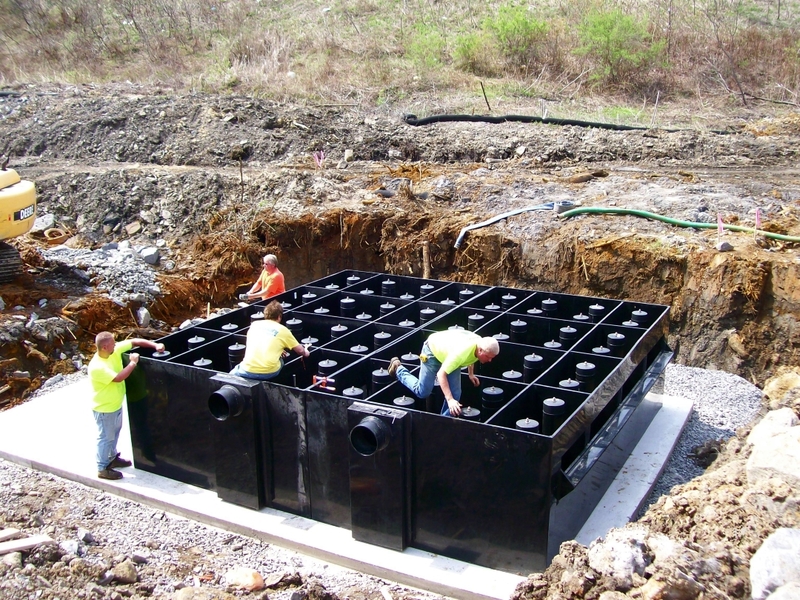 An oxidizer is a semi-passive treatment system, able to treat higher volumes of effluent more quickly, and in a smaller space than a traditional wetlands. Contaminated water flows into a large, chambered unit in which it is injected with massive amounts of air. Strong turbulence results, so powerful that dissolved metals precipitate from the water. 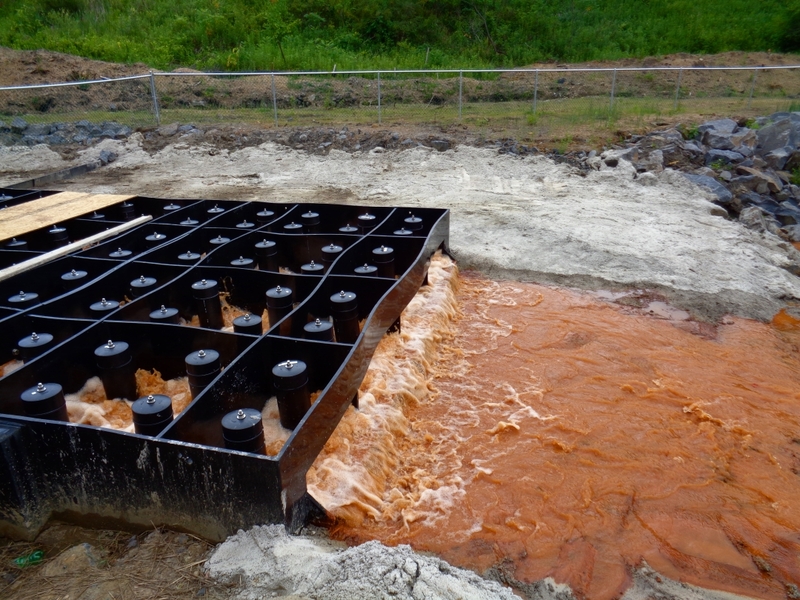 The water then exits into a settling pond divided by screening baffles, which continue to filter the iron, prior to the water’s release into a polishing cell and then back into the primary waterway. No chemicals are used in this process. 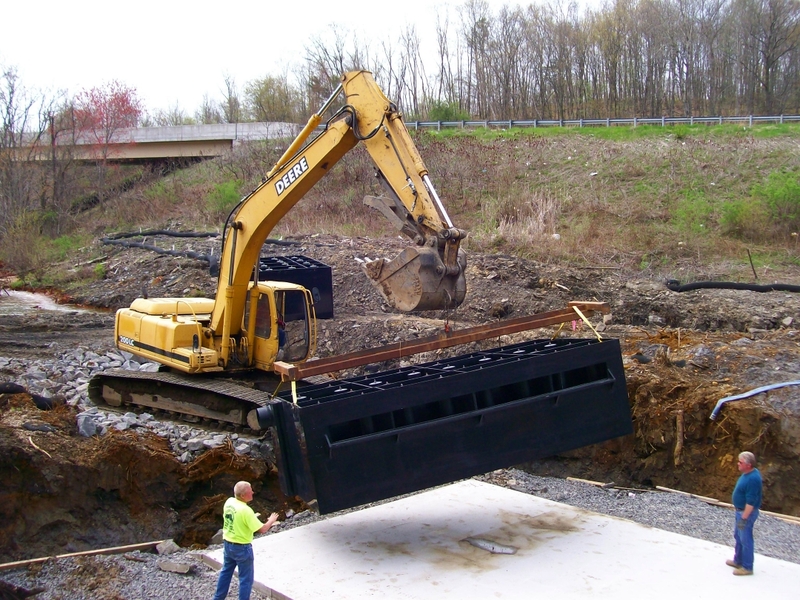 The installation of the maelstrom oxidizer was made possible through grants from the Pennsylvania DEP, the U.S. Department of the Interior’s Office of Surface Mining, and the Pennsylvania Association of Conservation Districts, and through EC’s own reserves. Construction work began in 2013, and the oxidizer was installed in May, 2014. Currently, EC is working with engineers to fine-tune the system. 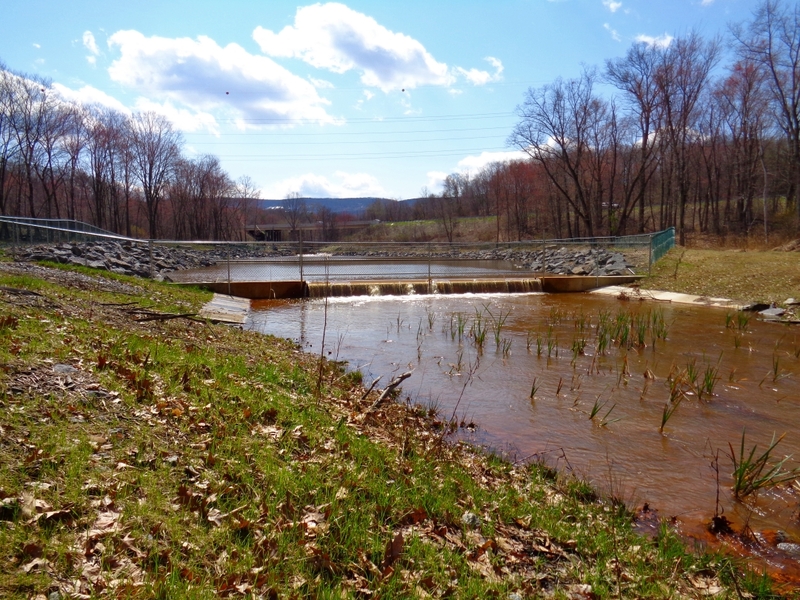 EC has spent approximately $950,000 on the Askam project and in total has invested over $2.5 million in its AMD mitigation work. View of one of the two boreholes at Askam, discharging into the Nanticoke Creek. The orange coating on the rocks downstream evidences AMD-contamination. 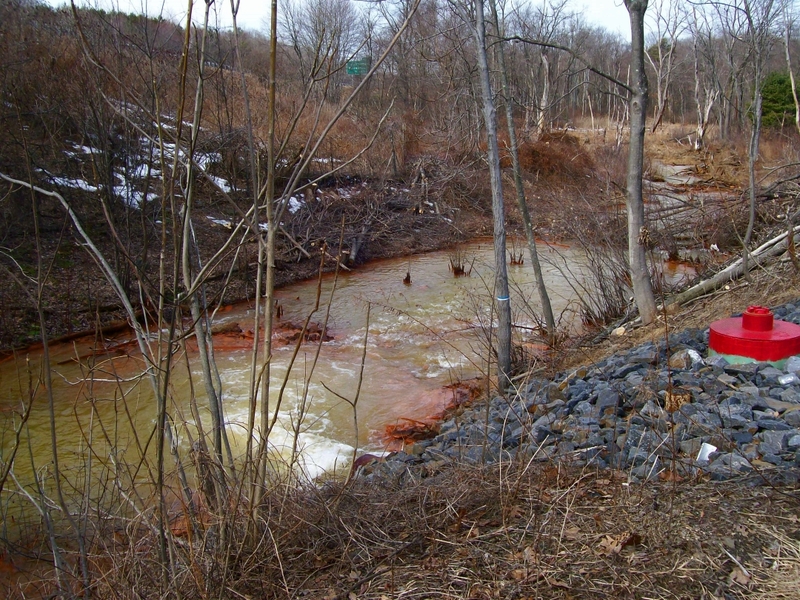 Orange, muddy sludge in the Nanticoke Creek at Askam, resulting from years of AMD pollution. 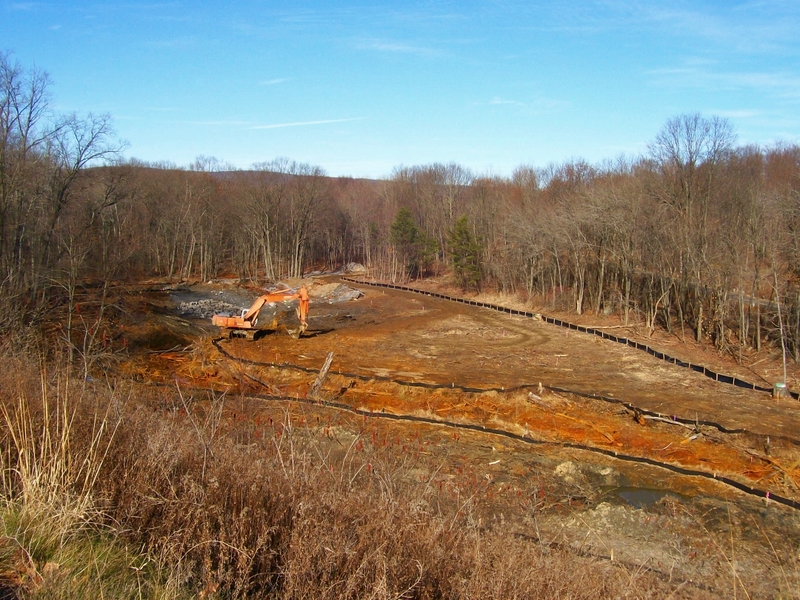 Construction phase on the AMD treatment system begins, first by clearing and grubbing the site. 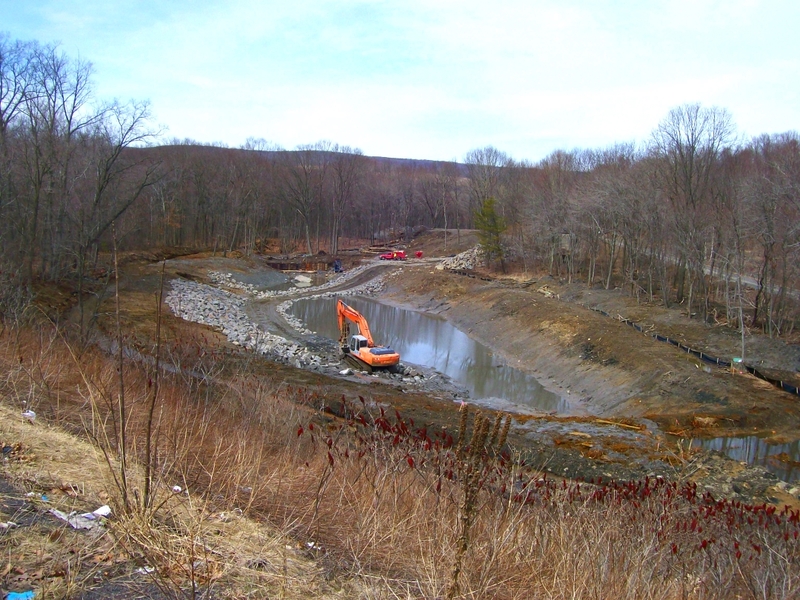 The Nanticoke Creek and the area for the settling pond are circumscribed with a sediment barriers. Continuing work on the settling pond. Riprap is used along the bank to prevent erosion, as well as to encourage settling by slowing moving waters. 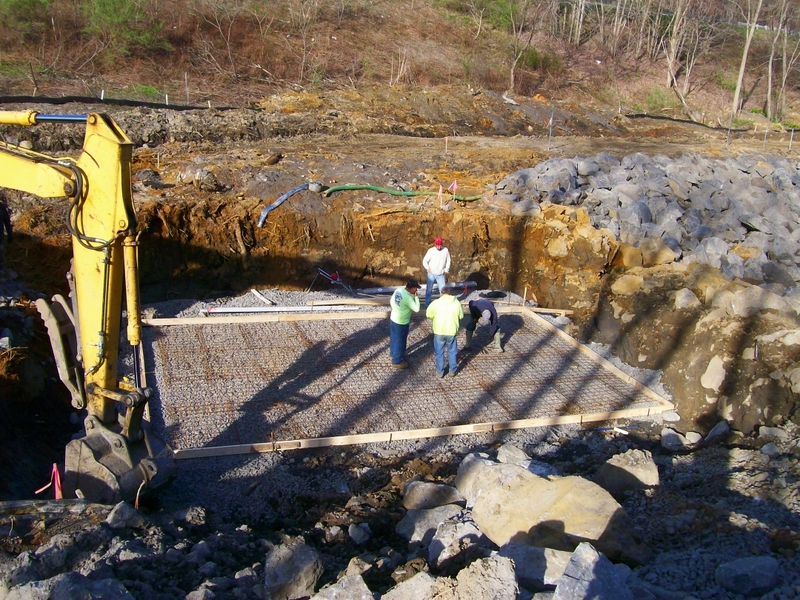 Construction of the concrete pad for the oxidizer unit. The Maelstrom Oxidizer is moved into place. Working to install the Maelstrom Oxidizer. 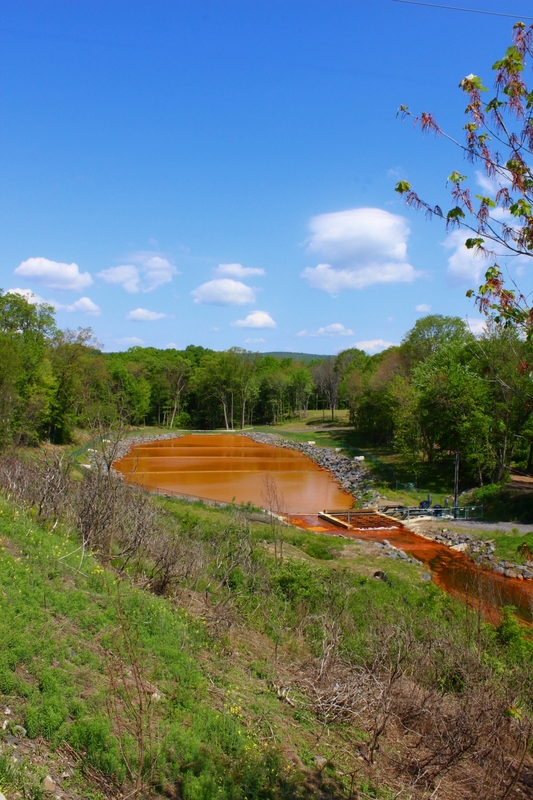 The oxidizer goes online: After creek waters pass through the oxidizer, they enter the settling pond to allow iron to fall out of suspension. Here, the entry of the AMD-contaminated waters is clear. Front view of the Maelstrom Oxidizer at work, injecting additional air into the waters passing through. Testing of the waters at the Askam Borehole AMD Treatment system occurs frequently to assess efficacy. Here, staff from EPCAMR take measurements. 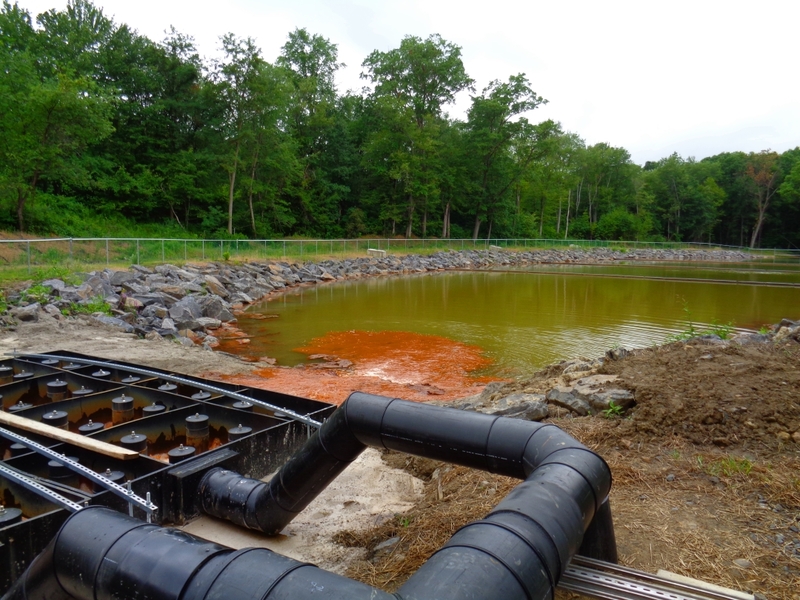 View of the Askam system from the outlet, which has been planted with cattails to provide additional filtration to the exiting waters. View of the Askam Borehole and its discharge, along with the AMD treatment system, now online.